Most of these photos of Pebble Mill at One were taken by Director Keith Ackrill, and must not be reproduced without his permission. 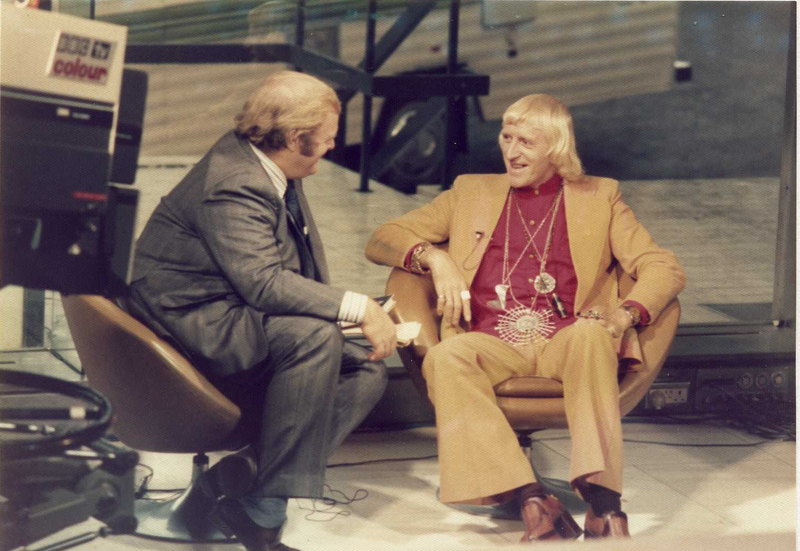 They include photos of Donny Mcleod interviewing Ron Moody and Jimmy Saville, George Hamilton IV and Andy Williams in rehearsal, as well as a black and white photo from 1975 of the Pebble Mill film crew on location in Burnley. This photo features, left to right: Richard Ganniclift (cam), Sam Hanna (contributor), Peter Casselberg (sound), Keith Ackrill (director), Tim Johnson (cam).